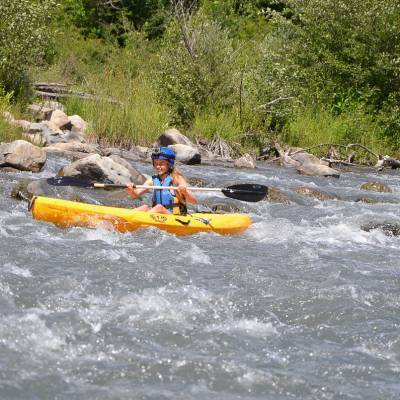 River kayaking comes in many forms with different levels of skill and ability required depending on the type of river and type of kayak you are using. 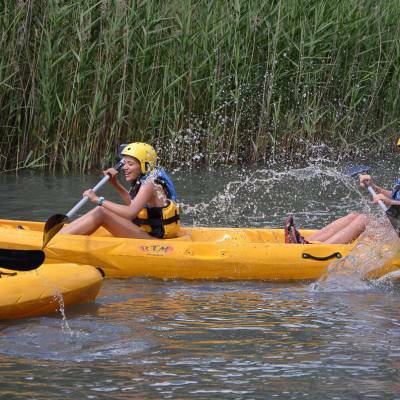 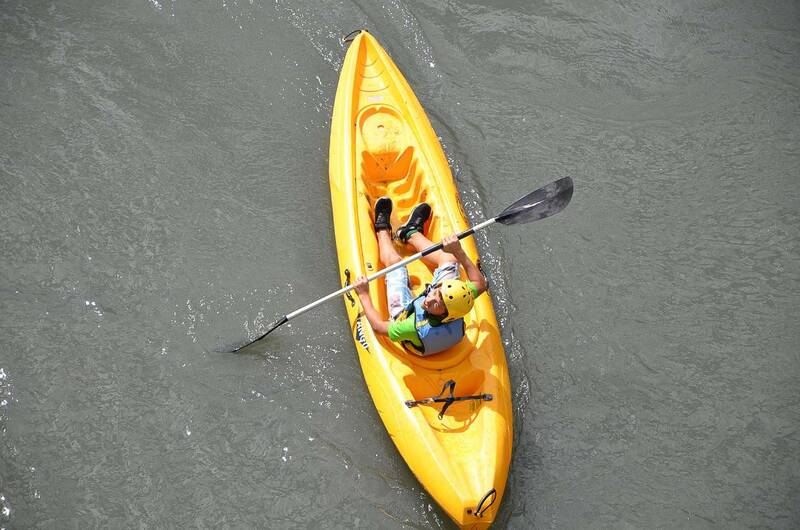 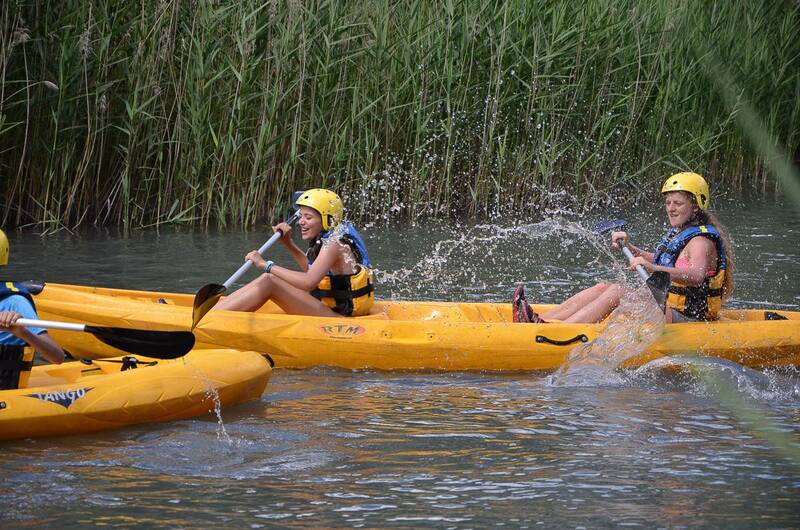 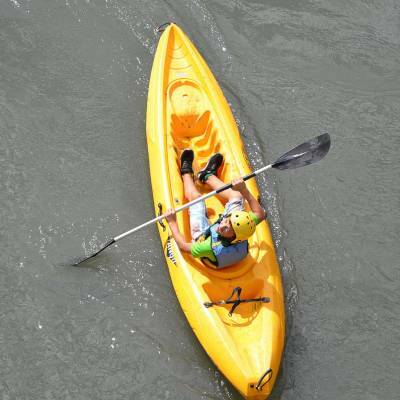 Kayaks are the boats that use one paddle with a blade on either end as opposed to canoes which use a one-bladed paddle that you change sides with each paddle! 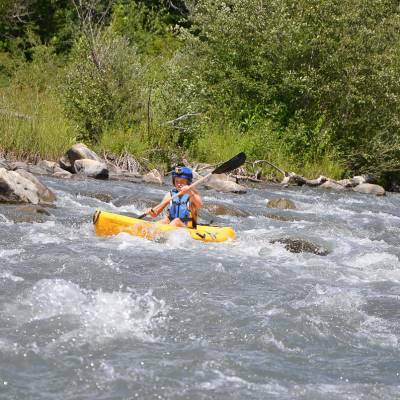 Rivers range from gentle, almost flat water rivers to roaring alpine rivers with a roller coaster of rapids, stoppers, waterfalls and drops. 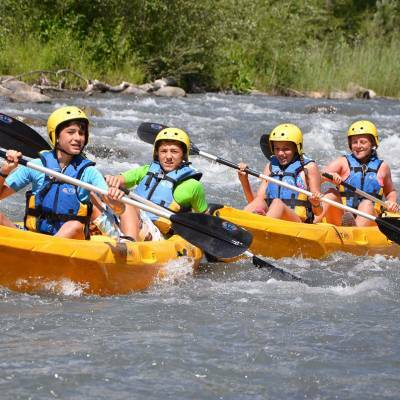 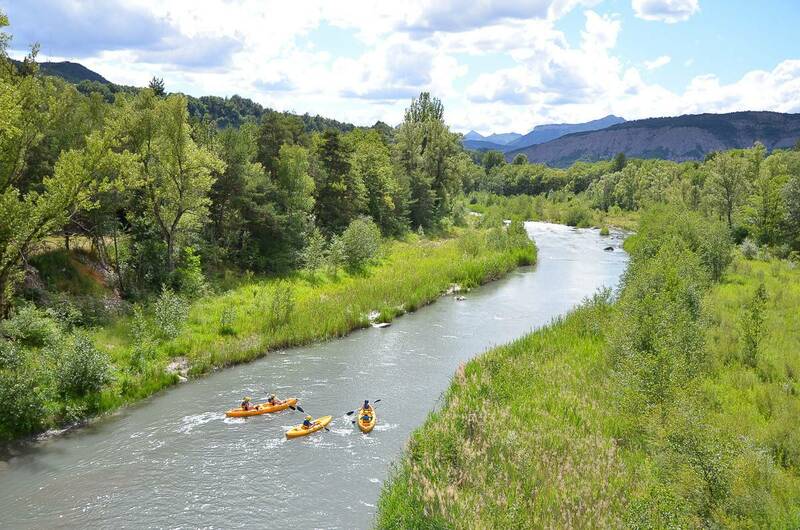 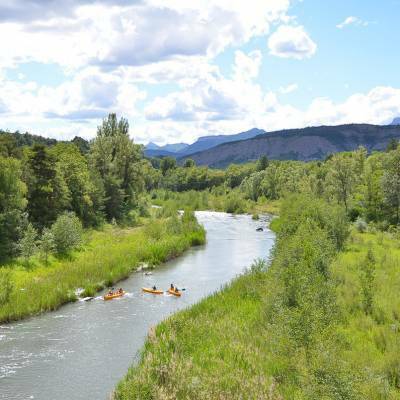 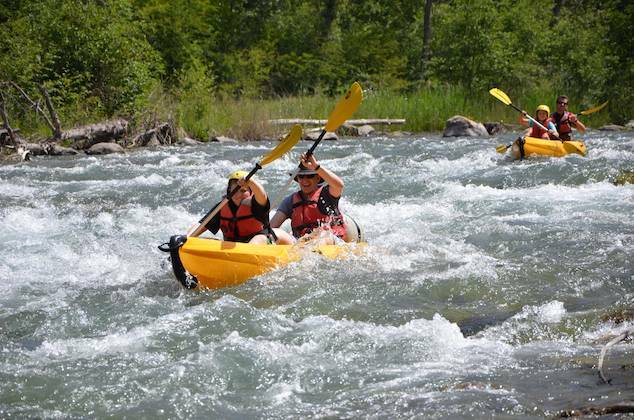 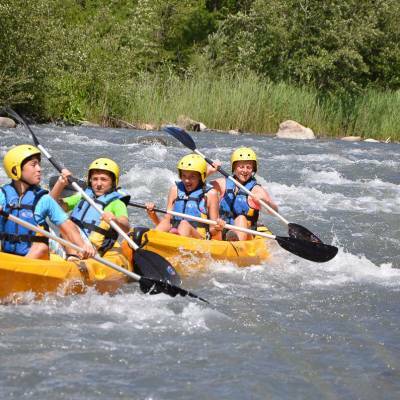 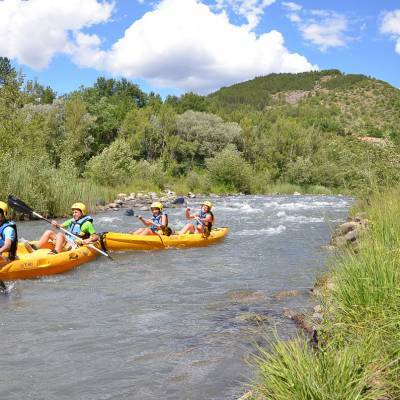 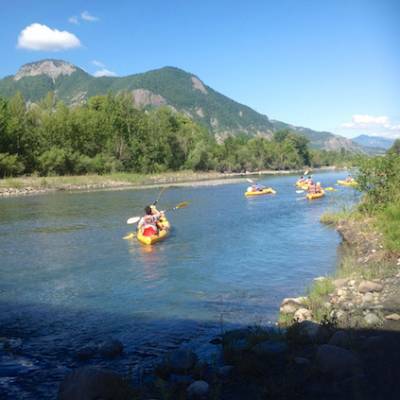 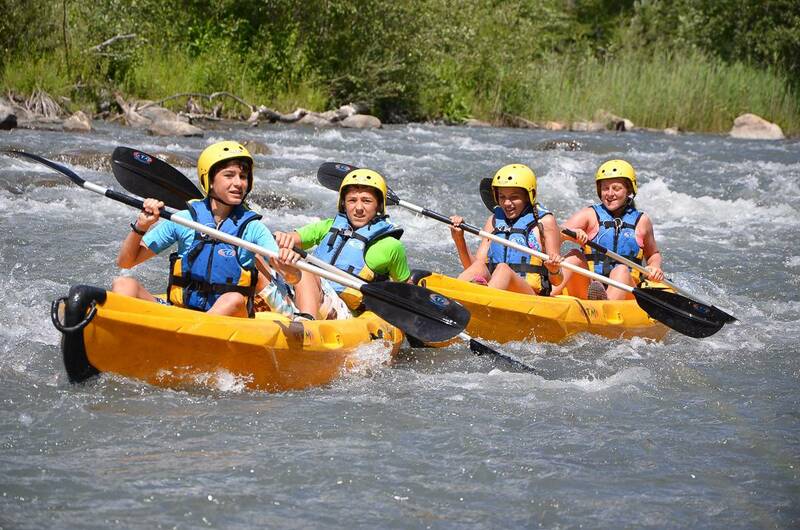 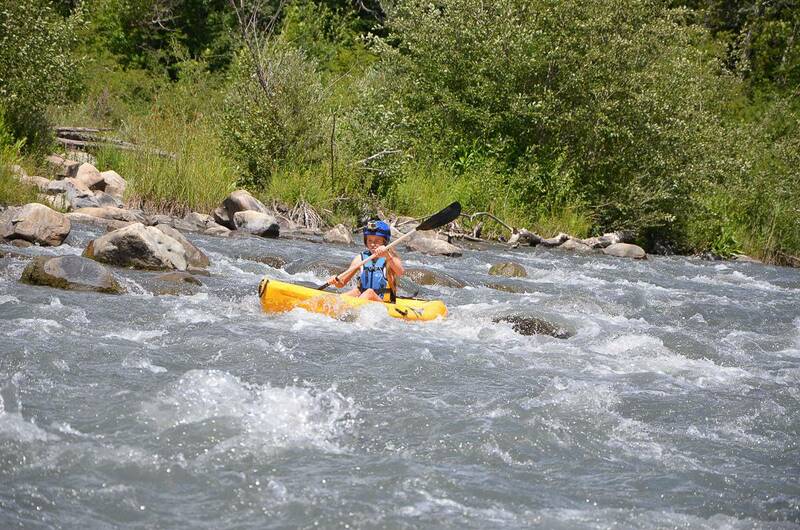 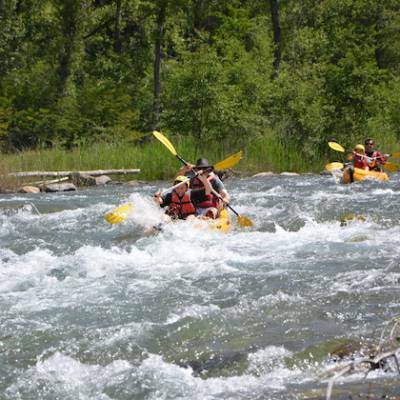 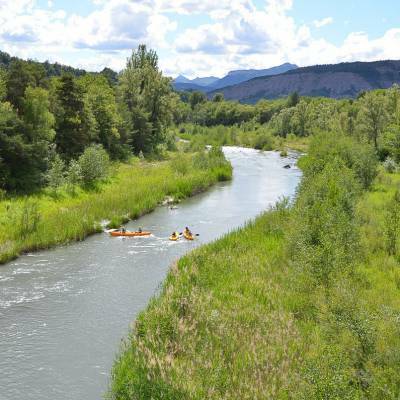 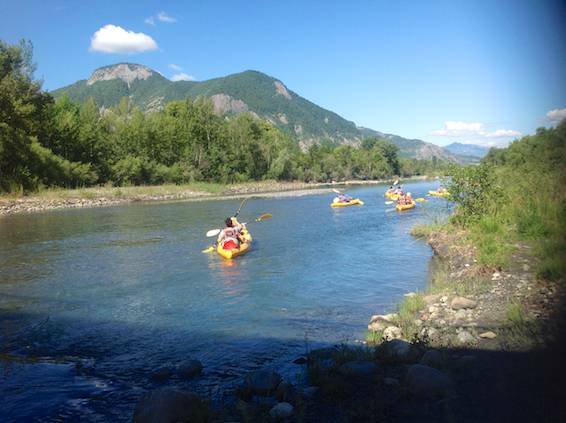 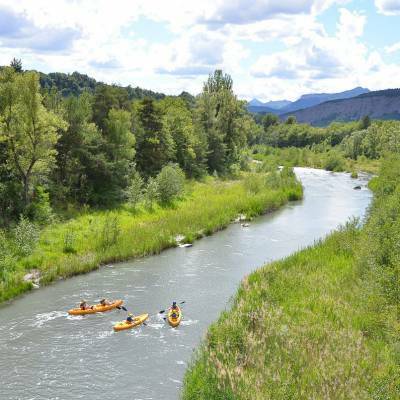 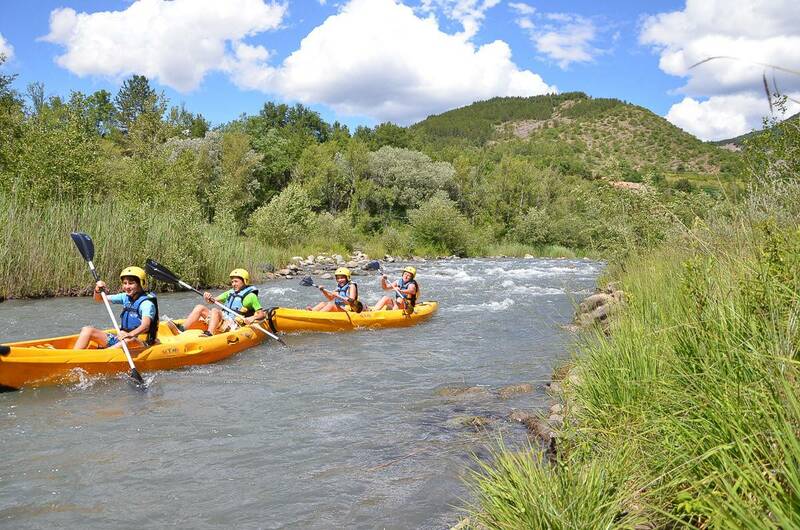 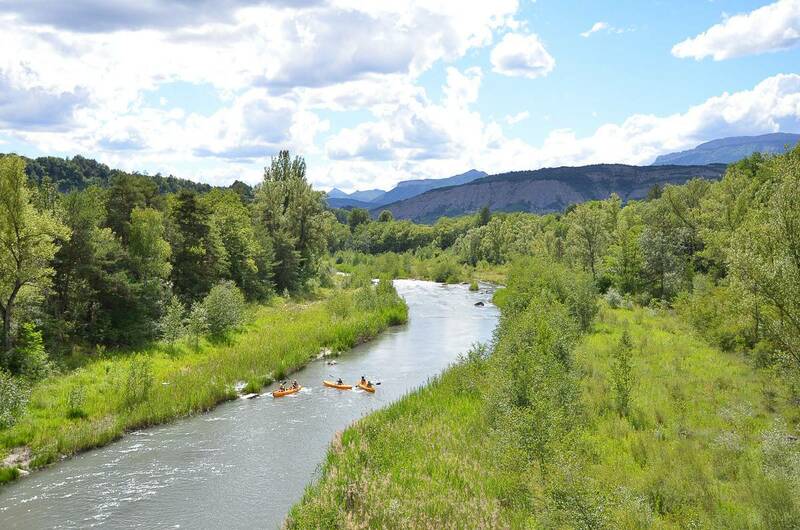 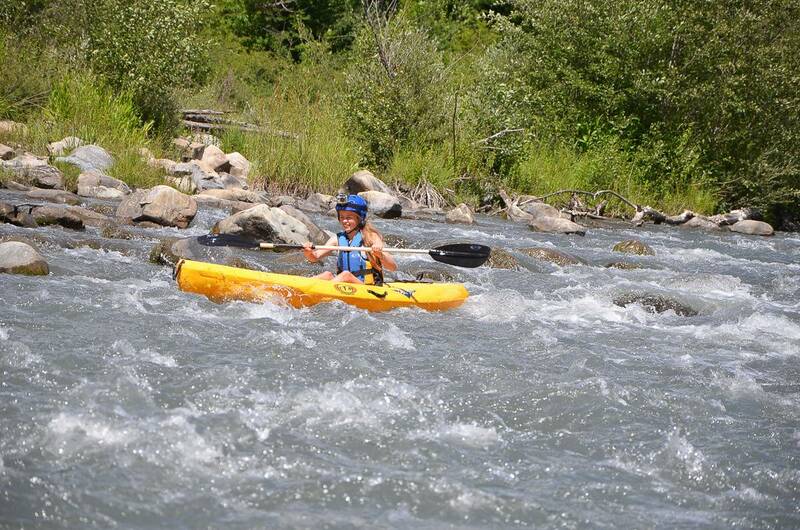 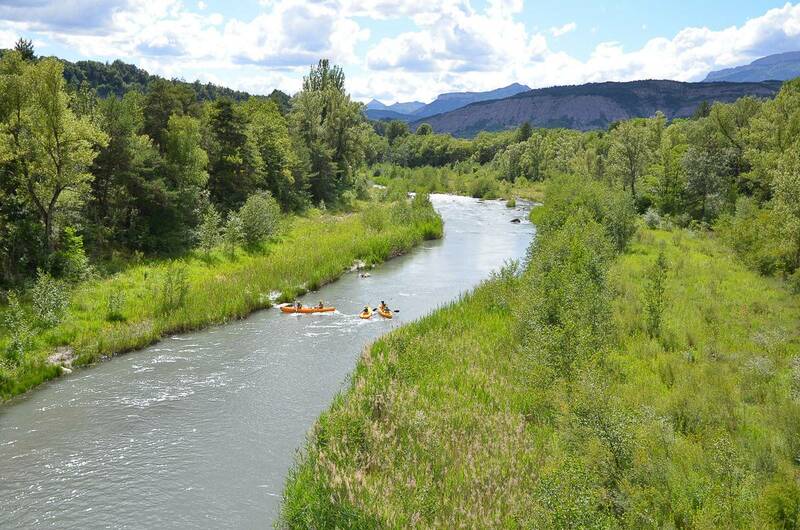 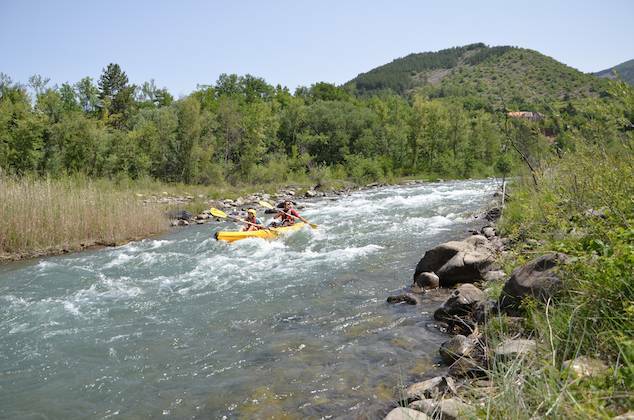 For experienced white water kayakers, a trip in a closed top white water kayak to navigate the big bumpy rapids of the alpine rivers is a must but does require a good level of skill. 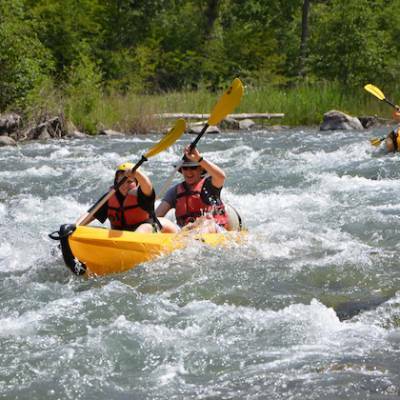 We have a separate section dedicated to white water kayaking for experienced paddlers or beginners wishing to learn this sport. 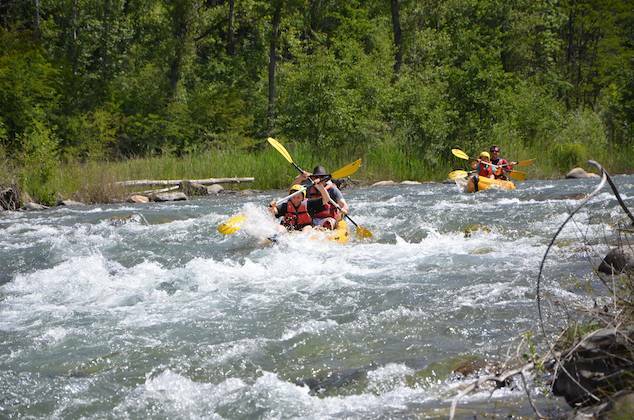 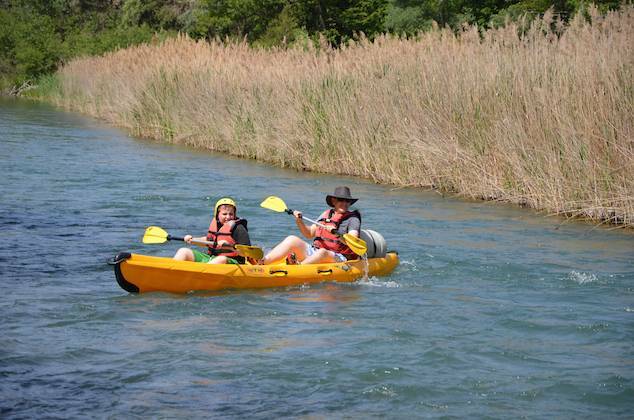 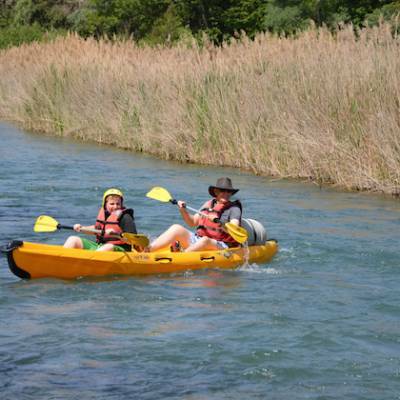 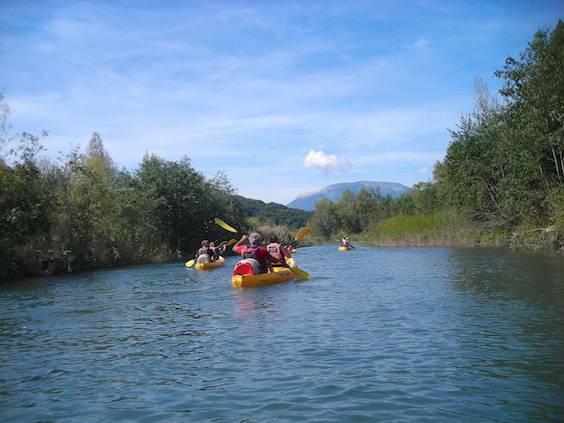 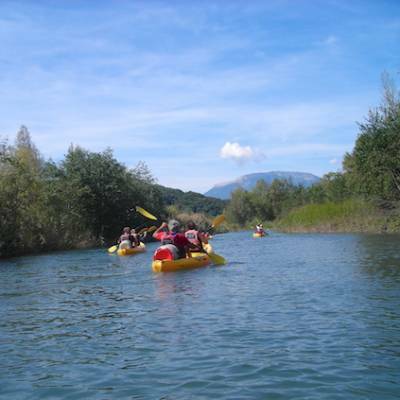 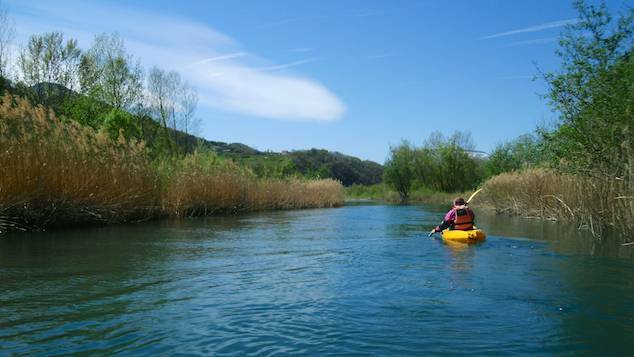 For people who want the experience of traveling down a river in a kayak the options are to choose a more gentle river with up to grade 2 rapids and to use a sit on top kayak which is much more stable. 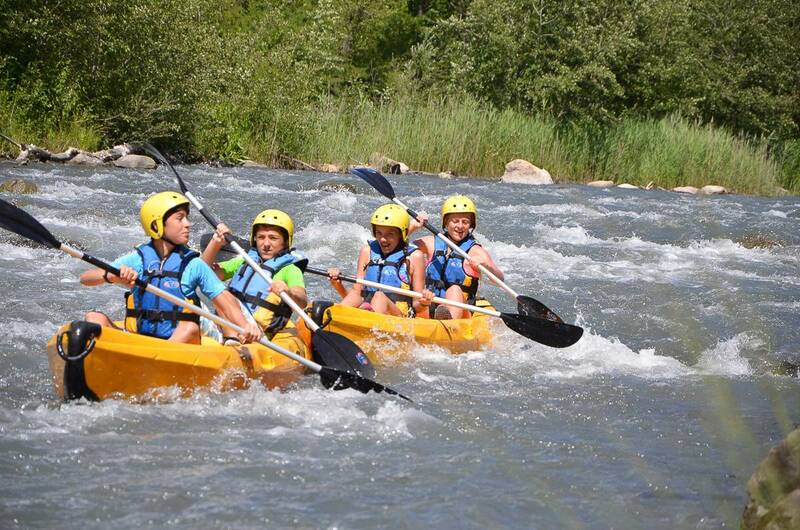 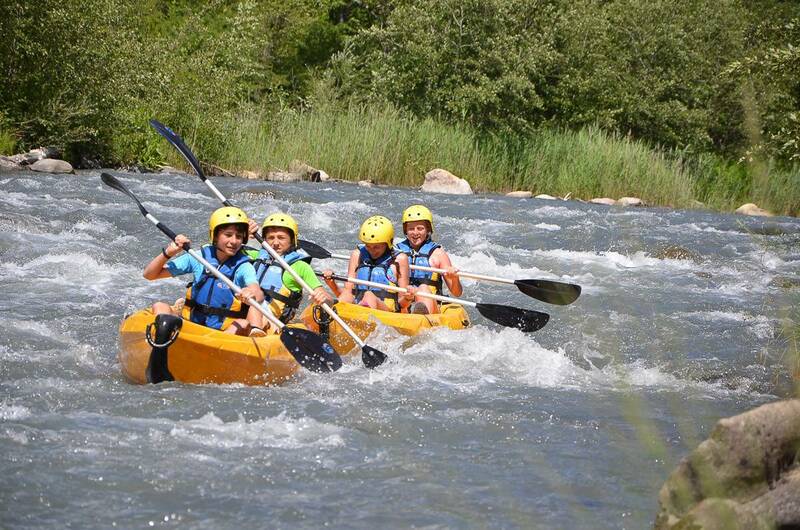 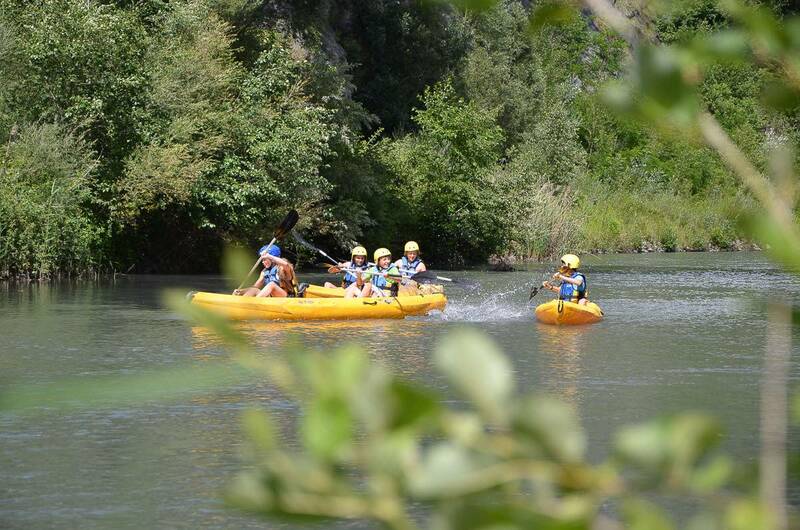 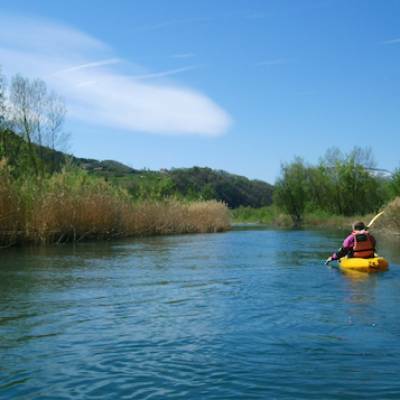 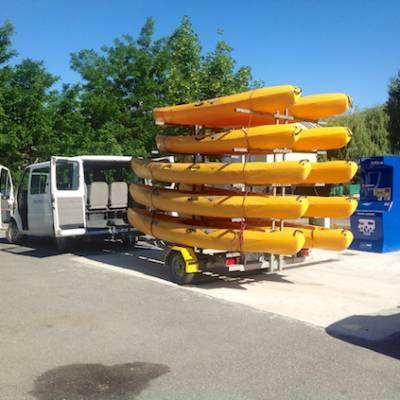 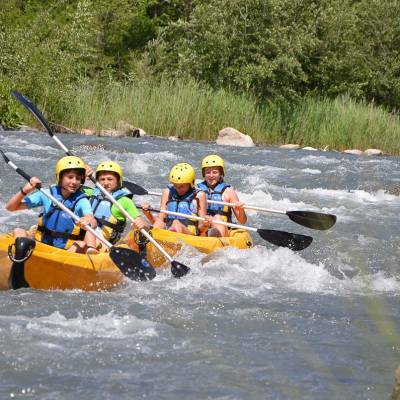 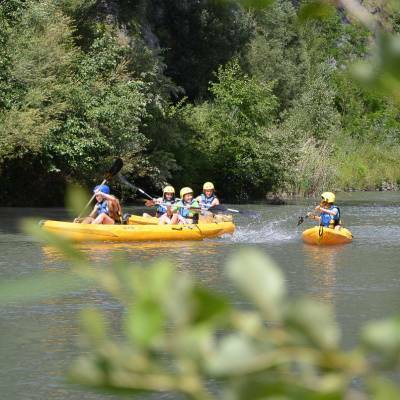 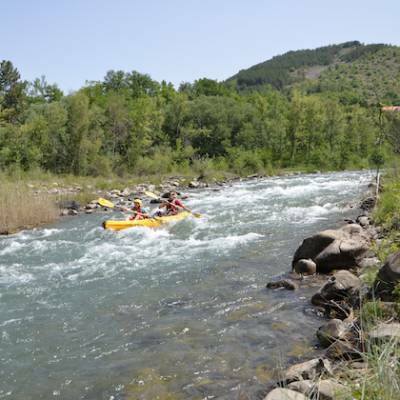 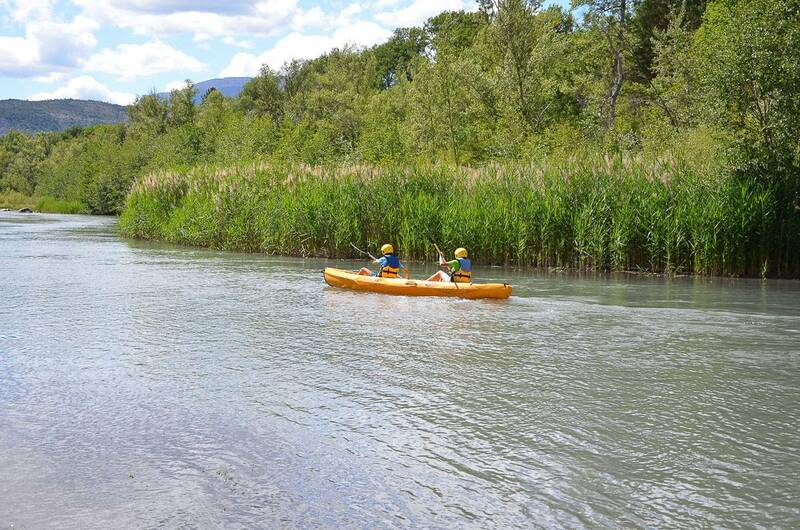 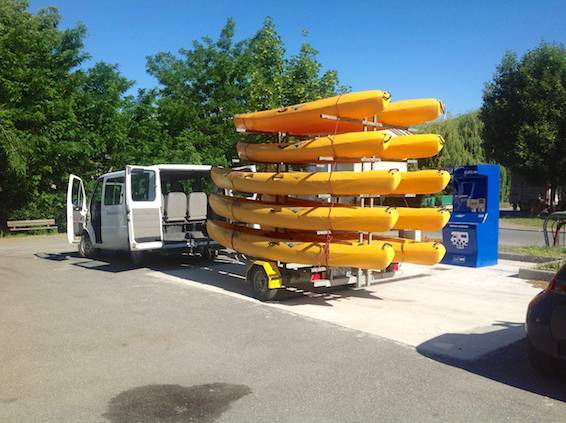 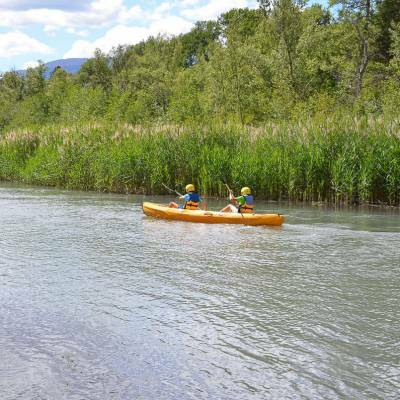 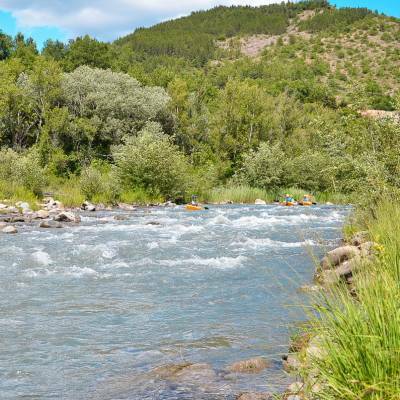 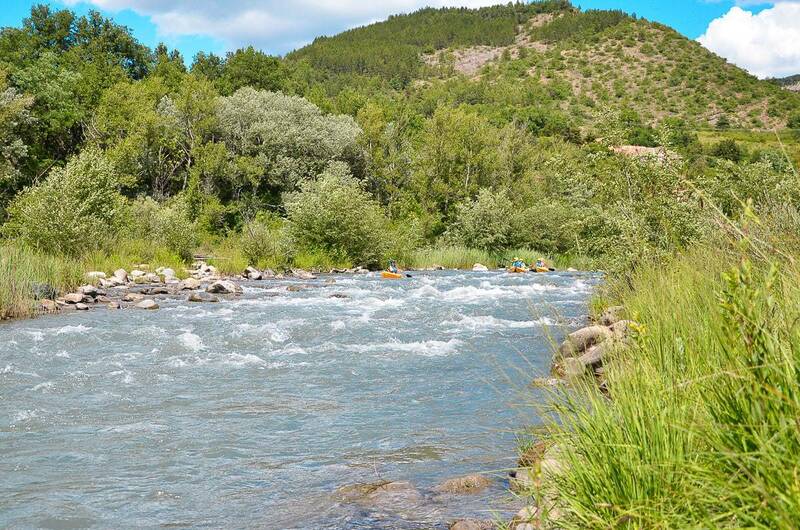 This formula is what is used on the classic river kayaking descents like the Ardeche and the lower Durance river and is perfect for families.